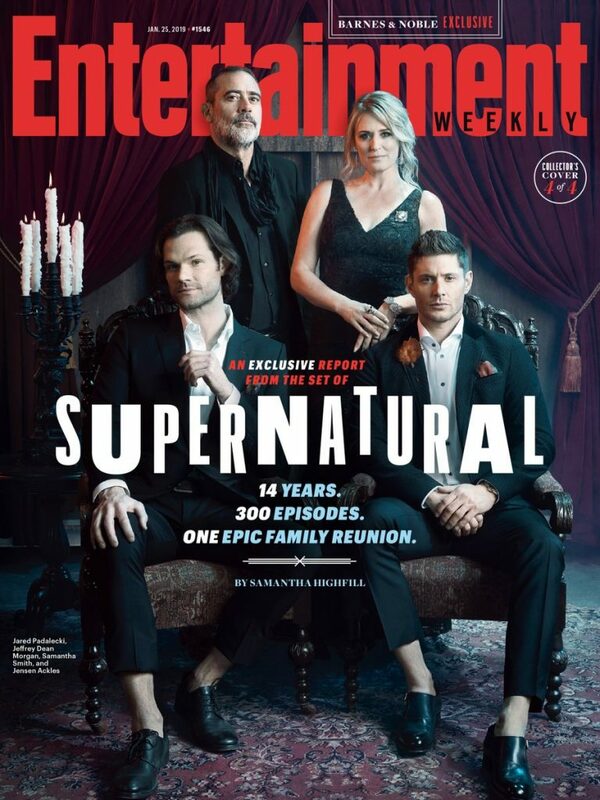 It’s a Winchester family reunion to commemorate SUPERNATURAL’s next big milestone. With less than a month to go before the 300th episode airs, the cast of Supernatural is already celebrating. 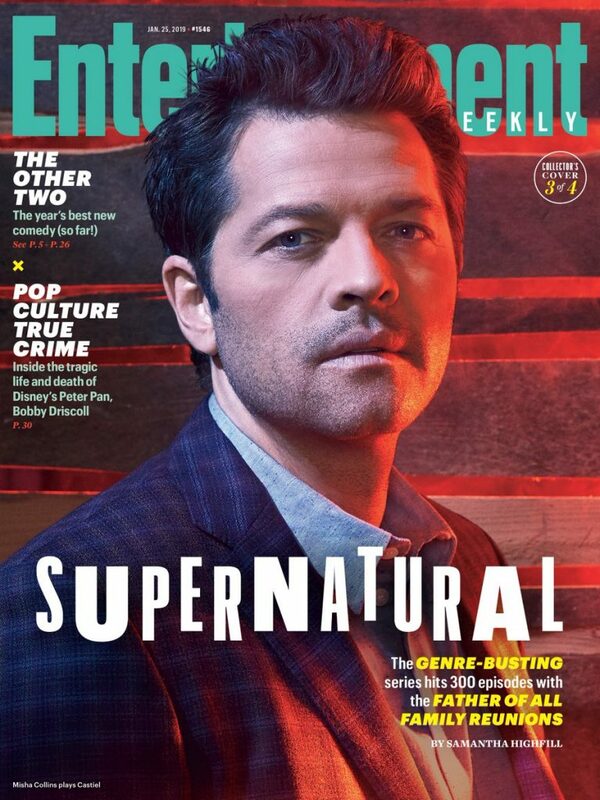 Entertainment Weekly announced today that the Winchesters (Castiel included) will be featured on the cover(s) of and throughout their January 25th issue! 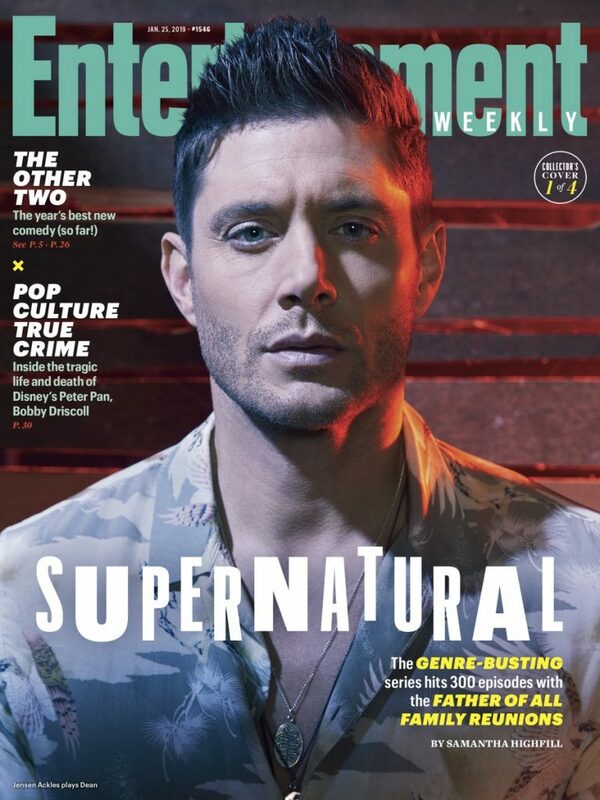 The Supernatural copies hit newsstands on January 18th. Pick up one or two–or, heck, all four. Please note that if you want the one featuring Mom, Dad, and Brothers, it is a Barnes and Noble exclusive. Don’t have a B&N nearby or can’t wait? Grab any of the four or a bundle with them all now here. All right, SPN Family, here’s where it gets tricky. Inside the magazine press release, there is more info, but it is spoilery as heck. In respect to those who want as many surprises as possible for the 300th episode (myself included), I will not explicitly post the remaining content from the article. However, if spoilers are your thing (and more power to ya! 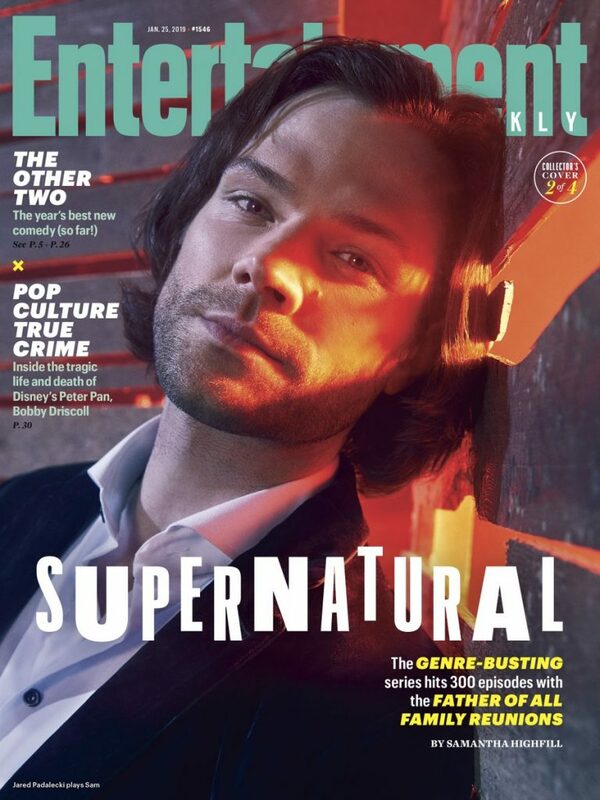 ), take a peek at the full Entertainment Weekly article, author Samantha Highfill’s Twitter, and, of course, EW‘s Twitter. Be sure to watch Supernatural‘s 300th episode on Thursday, February 7th at 8/7c on The CW!